Kick off your visit on the 1st (Thu): try to win big at Bellagio Hotel and Casino and then admire the natural beauty at Bellagio Conservatory & Botanical Gardens. On the 2nd (Fri), you'll have a packed day of sightseeing: try to win big at Casino at the Venetian, enjoy breathtaking views from Eiffel Tower Viewing Deck, and then explore the stunning scenery at Red Rock Canyon National Conservation Area. For more things to do, other places to visit, traveler tips, and other tourist information, use the Las Vegas trip maker tool . Manchester, UK to Las Vegas is an approximately 14-hour flight. You can also do a combination of train and flight. You'll gain 8 hours traveling from Manchester to Las Vegas due to the time zone difference. Expect warmer temperatures when traveling from Manchester in August; daily highs in Las Vegas reach 45°C and lows reach 29°C. Finish your sightseeing early on the 3rd (Sat) so you can drive to Death Valley National Park. Extreme heat and dryness create extreme landscapes in Death Valley National Park. Start off your visit on the 4th (Sun): take in the dramatic natural features at Zabriskie Point, take some stellar pictures from Dante's View, and then make a trip to Mesquite Flat Sand Dunes. To find maps, more things to do, where to stay, and tourist information, read our Death Valley National Park planning site . Traveling by car from Las Vegas to Death Valley National Park takes 2.5 hours. Alternatively, you can take a bus. Traveling from Las Vegas in August, plan for a bit cooler nights in Death Valley National Park, with lows around 24°C. Cap off your sightseeing on the 4th (Sun) early enough to go by car to San Diego. Kick off your visit on the 5th (Mon): see the interesting displays at Maritime Museum of San Diego and then admire nature's wide array of creatures at San Diego Zoo. Get ready for a full day of sightseeing on the 6th (Tue): see the interesting displays at USS Midway Museum and then admire the natural beauty at Balboa Park. Plan my trip to San Diego with suggested itineraries provided by Inspirock. Drive from Death Valley National Park to San Diego in 5.5 hours. Alternatively, you can do a combination of bus and flight; or do a combination of car, bus, and flight. Traveling from Death Valley National Park in August, you will find days in San Diego are cooler (30°C), and nights are about the same (23°C). Wrap up your sightseeing on the 6th (Tue) to allow time to drive to Los Angeles. 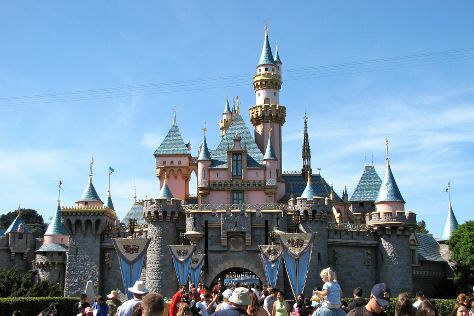 Kick off your visit on the 7th (Wed): discover the magic at Disneyland Park. Here are some ideas for day two: get in on the family fun at Universal Studios Hollywood. For photos and more tourist information, read our Los Angeles route tool . Traveling by car from San Diego to Los Angeles takes 2.5 hours. Alternatively, you can take a bus; or fly. Traveling from San Diego in August, expect nights in Los Angeles to be about the same, around 22°C, while days are a bit warmer, around 34°C. 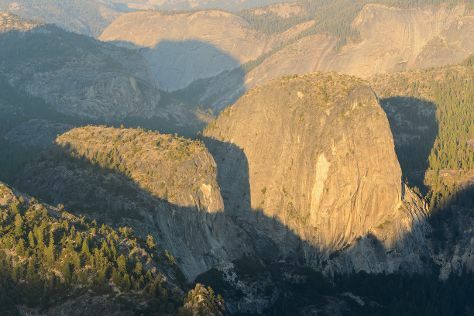 Wrap up your sightseeing on the 8th (Thu) early enough to travel to Yosemite National Park. Yosemite National Park is known for nature, trails, parks, scenic drive, and wildlife. Your plan includes some of its best attractions: explore the striking landscape at Glacier Point, take in the dramatic scenery at Yosemite Falls, don't miss a visit to Olmsted Point, and tour the pleasant surroundings at Tuolumne Meadows. To find where to stay, maps, photos, and more tourist information, use the Yosemite National Park online visit planner . Traveling by combination of flight and car from Los Angeles to Yosemite National Park takes 4.5 hours. Alternatively, you can drive; or do a combination of flight and bus. Traveling from Los Angeles in August, plan for much colder nights in Yosemite National Park, with lows around 7°C. Finish your sightseeing early on the 11th (Sun) to allow enough time to drive to San Francisco. On the 12th (Mon), step off the mainland to explore Alcatraz Island, then take a leisurely stroll along Fisherman's Wharf, then steep yourself in history at SS Jeremiah O'Brien, and finally snap pictures at Golden Gate Bridge. Here are some ideas for day two: admire all the interesting features of AT&T Park, enjoy breathtaking views from Coit Tower, and then admire all the interesting features of Golden Gate Park. 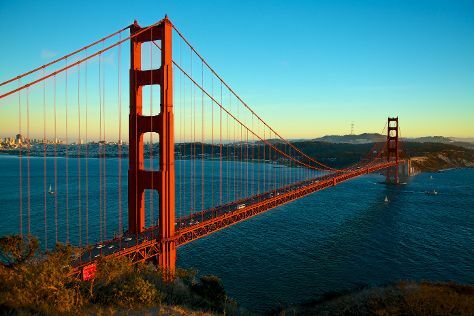 To find more things to do, maps, other places to visit, and tourist information, use the San Francisco travel planner. You can drive from Yosemite National Park to San Francisco in 4 hours. Alternatively, you can do a combination of car and flight; or do a combination of bus and flight. Traveling from Yosemite National Park in August, expect nights in San Francisco to be somewhat warmer, around 17°C, while days are slightly colder, around 26°C. Finish your sightseeing early on the 13th (Tue) so you can travel back home.